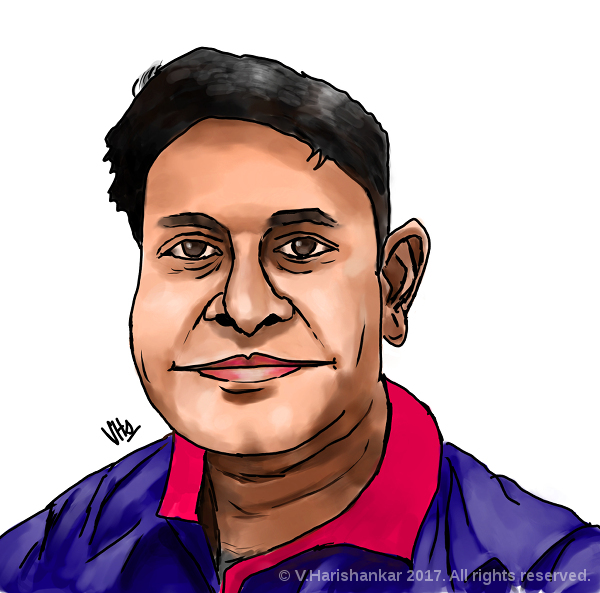 A caricature of an office colleague. Painted using Krita with my XP-Pen Artist 10S tablet. 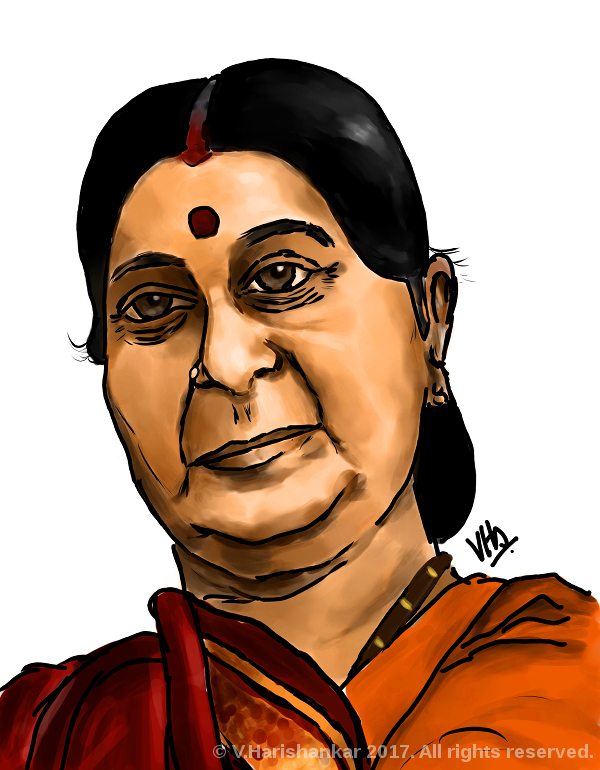 Portrait caricature of Indian politician and BJP leader, Sushma Swaraj. Painted using Krita using my XP-Pen Artist 10S tablet. 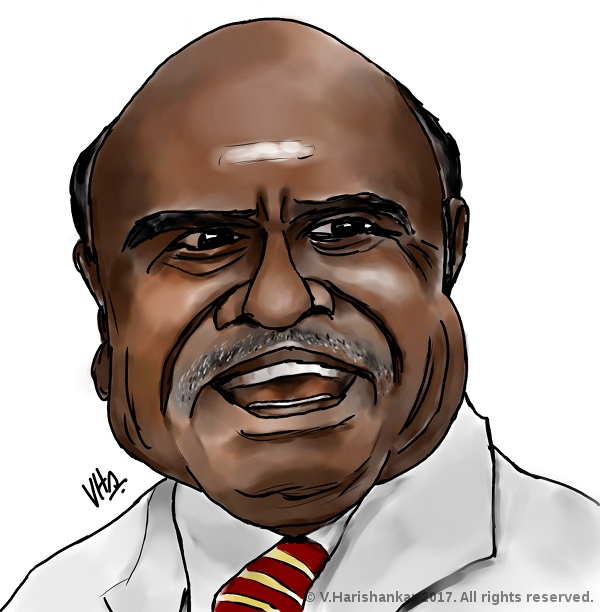 Portrait of retired justice Karnan, recently convicted of contempt of court by the Supreme Court of India. Painted using Krita with my XP-Pen Artist 10S. The recent standoff between Justice Karnan and the Hon'ble Supreme Court of India which resulted in the conviction of the retired Judge for 6 months simple imprisonment as per the Contempt of Courts Act 1971, has resulted in a debate about the power of the Higher judiciary to punish for contempt and also calls for diluting/removing the provisions relating to criminal contempt altogether (particularly in respect of the offence of "scandalizing the court"). I feel that such a step would not be in the best interests of justice delivery of our country, given the conditions prevailing here. The example of Western nations such as the UK and US that have removed the power of Courts to punish for contempt has been highlighted by many people (including legal luminaries, whom I respectfully disagree with). 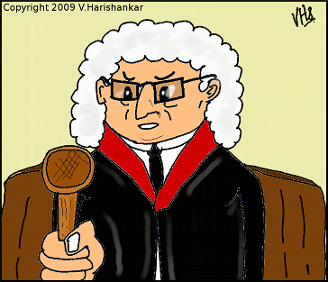 For those who are not aware, there are two kinds of contempt of court: Civil and Criminal. This article is purely about the power of the Higher Judiciary to punish for criminal contempt. Civil contempt falls into a different class of offence altogether and is not within the scope of this essay. In a sudden, Earth-shaking move, the Papa Hari World Government announced that it was making selfie stick mandatory for all selfies and banned the use of "regular" selfies on social media, citing the eyesore caused by close up mugshots with ugly double-chin exposure. The World Government Press and Media Ministry issued a communique which stated, "We have noted that selfies taken normally with a camera phone highlight bland, silly smiles, gross double-chins and the lower regions of the face. Most selfie-takers lack the discipline to properly position the camera either at level or slightly above face level at a sufficient distance. In a considered decision, it is mandated that henceforth selfies taken without a proper selfie stick will be punishable by law. All photographs of individuals which do not expose their bare palms will be considered selfies for the purpose of the law, unless proven otherwise. The punishment would include uploading pictures of mundane love quotes and random philosophies on a daily basis on your FaceBook account continously for a period of one year. Repeat offenders would be forced to share memes continuously till they are unfriended/unfollowed by at least ten close friends." As usual, human rights activists strongly objected to the move stating that it was a violation of the fundamental right to Selfie-determination. "Every individual has the right to appear as ugly or as beautiful as they please in a selfie" said an activist, who later was unavailable for comment as he had left for an unknown holiday destination. Selfie stick makers were also requested by the Papa Hari World Government to keep the prices within reach of the common selfie-taker. A selfie-stick manufacturer who had immediately raised the price of the selfie-stick on intimation of the news voluntarily retired from the business due to remorse caused by profiteering and also left for an unknown holiday destination. A Papa Hari World Government spokesman assured that the new law was not violative of human rights because the Papa Hari World Government had made it a law. Besides, the rights of the people viewing the selfies also have to be considered. "As everybody knows, laws are legal, and anything legal is within the ambit of law," he said, drawing titters from a group of journalists who later also left for an unknown holiday destination. 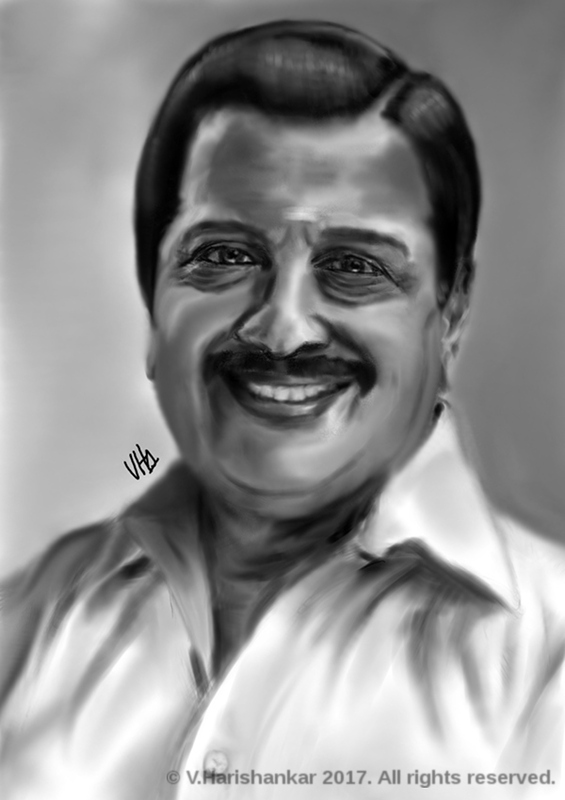 Portrait of veteran actor Sivakumar, painted using Krita with my iBall pen tablet and XP-Pen Artist 10S.